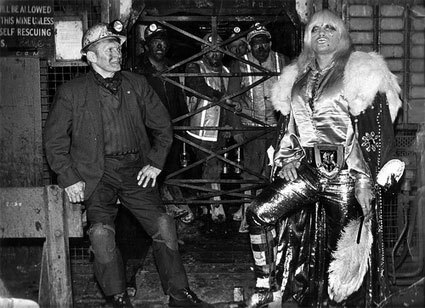 The thoughts I wish to share with you are long overdue, every year it seems that there are less of us, Wrestlers, Referees, Promoters, Writers and last, but certainly not least the great and loyal fans who still remember the good old days, - The Golden Age of Professional Wrestling in Great Britain. Although long gone from the shores of Britain, I am most gratified to know that I am not forgotten and the thrill I experienced at receiving not only The British Wrestlers Reunion 2005 award for achievements and contribution to Professional Wrestling, but also The Special Achievement Award 2005 Hall of Fame from Bill Parsonson and 'The Seniles' of 'UK Wrestling World' was very great indeed. The thoughts that have long been revolving through my mind were brought to a head by the loss of one of the very greatest of our number, Alfie Hayes, who although I was probably the last of the wrestlers ever to speak to him, [just two days before he died] I was already too late to share my feelings with him, - the same feelings I am sure that would have been reflected by all my peers and all who ever saw him perform, poor Alfie didn't even seem to realize who was talking to him. I was reminded of all the things I would have loved to have said to Big Pat Roach and to Peter Cortez. Being a cancer survivor myself I can wholly appreciate the gravity of their illness, but to me Big Pat seemed so thoroughly indestructible and Peter who I was corresponding with via e-mail seemed to have such a positive attitude that I was absolutely shocked when I received the awful news of their demise. The wonderful Awards I have received this year I want to dedicate to all those who have shared this very unique business with me and to tell you, I appreciate that without all of you, I could never have been considered a worthy candidate for receiving them in the first place. Amongst the number of Grappling Greats who most shaped and influenced Professional Wrestling as we knew it in The Golden Years, there are two that spring immediately to my mind, - no surprises here, Judo Al Hayes, or Alfie as we knew him best and 'The Dazzler' Joe Cornelius. 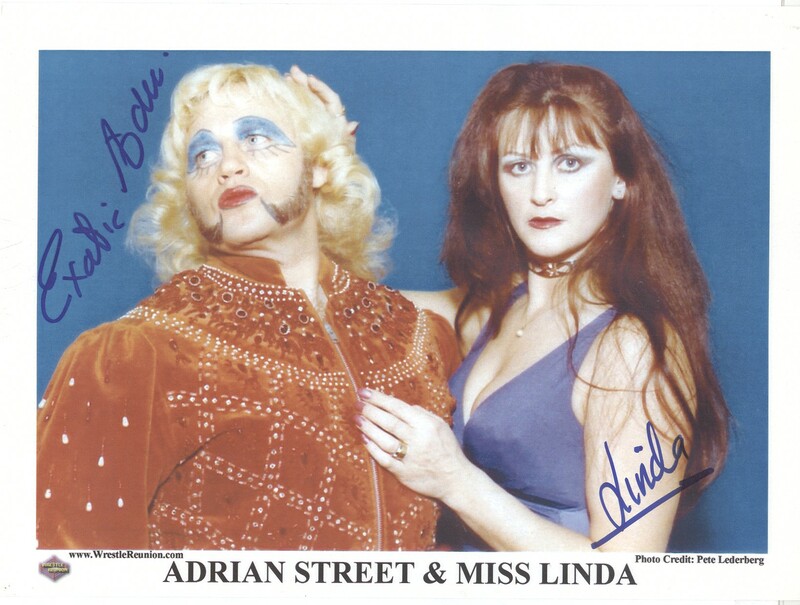 I have seen their traits, humor, attitudes, ring generalship and aura mirrored in so many of the greats who followed them into the business that I can't even begin to imagine what British Wrestling would have been like without them, - but I do know that it would not have been what it was. I am sure that we all remember the luxury transport that used to convey us from 'Dale Martin's' offices to the various wrestling venues all over the South and West of Britain, - old converted ambulances with no springs, heaters or air-conditioners and a top speed of about 45 miles an hour - and those awful f****** roads, - traveling could be miserable, - UNLESS you were lucky enough to share the journey with Alfie Hayes, especially if he was discussing anything under the Sun with someone like Allan Garfield, Damn! They were bloody hilarious, the miles would just melt away and even watching Monty Python would be an anticlimax after an evening listening to Alfie's views on just about anything. Joe Cornelius, - What a presence 'The Dazzler' made when he entered the ring, the wavy jet black hair, the dazzling smile, - the eyebrows! Damn! He had it all, a personality as big as the Royal Albert Hall and ring savvy second to none, he was like a puppet master with strings fastened to the hearts of every member of the audience, if he laughed they laughed, if he cried they cried, if he suffered they suffered and when he triumphed, - Whoops! There goes another arena roof! I remember being so flattered in my very early Dale Martin days when Joe would come and pick me up in his car to go running with him in Battersea Park. If Joe's ears hadn't already been cauliflowered I'm sure they would have been in great danger of getting that way by my constant yapping, He must have had the patience of Jobe. "Hey Joe," I'd tell him, "I learned three more wrestling moves last week, there can't be very many more that I don't already know." "Yes Ada, I remember being like that myself, - UNTIL THE PENNY DROPPED!" He gave me so much sage advice, most of which I didn't really appreciate, until with much more experience and observation of the more educated members of my profession, - the penny did finally drop - and I realized that I wasn't quite half as good as I thought I was. Plus, it also dawned on me just as you don't need to use every color in the spectrum to paint a masterpiece, every word in the dictionary to tell a great story, you don't need every wrestling hold or maneuver devised to have a terrific wrestling match. So it was back to the drawing board with the 'BEST TUTORS in the WORLD.' Namely my opponents who were the greats of that age, Tony Scarlo, Peter Kelly, Young Sullivan, who later became Leon Fortuna. Before we wrestled for Joint Promotions I used to be billed as Kid Tarzan Jonathan the 'youngest professional wrestler in the World', until I was usurped by Leon and although I was a couple of years older than him and had had a couple of years more experience, I appreciated even in our early matches together that he was my superior when it came to timing, - timing was something that I only became aware of through the likes of Tony, Peter and Leon and at first I was only able to follow their lead, I was probably years into wrestling for Dale Martin's before I obtained the knowledge and ability of being able to create it myself. My matches against Al Miquet, one of the greatest wrestlers I have ever had the pleasure of sharing a wrestling ring with and wrestlers like, Alan Colbeck, Melvin Riss, Mick McMichael, Mick McManus, Billy Stock, Johnny Eagles, Roy and Tony St.Clair, Ian Gilmore, Kalman Gaston, Stevie Grey, Johnny Saint, Jimmy Breaks, Chick Purvey, Chris Bailey, Alan Dennison, John Hall, Johnny Kwango, 'Iron Man' Steve Logan, Tony Charles, Julien Morice, Joe Murphy, Peter Rann, Al Nicol, Bob Archer O'Brian, Bob Anthony his Brother Chris, Caswell Martin, Mark Rocco, Bill Ross, Vic Faulkner, Bert Royal, Alan Sergeant, Spencer Churchill, Tibor and Peter Szakacs, Monty Swan, Eddie Capelli, Honey Boy Zimba, Mike Eagers [who didn't only nick everybody's best moves but had the bloody cheek to do them better than we did], Jumping Jimmy Moser, Bob Kirkwood, Al Marquette, Alan Holenby, Eddie Hamil, Johnny Palance, Marty Jones, Dave Jansen, Jimmie McKenzie, Jacky Pallo and J, J, Pallo, Clayton Thomson, Steve Wright, Bobby Barnes, [both as an opponent and my best Tag-partner ever,] Keith Martinelli, Linde Caulder, Bobby Steel, Tony Costos, Sid Cooper, Catweezle, Peter Cortez, The Borg Twins, Ricky Starr and Zoltan Boscik, I give them all credit in shaping a ragged lump of rough Welsh coal into The lovely flawless Diamond that I became, - thanks guys, we all know that the only thing that prevents me from being perfect is my modesty, - but seriously, I can only say that I made it in the business due to the outstanding quality of my teachers, all of the above mentioned plus many more who I must apologize for omitting through thoughtlessness. I have often been asked who I thought was the best wrestler I have ever faced in the ring, - I am sure that Jon Cortez would be the very first to agree with me and plead guilty when I say that he stands accused. Jon had a great appearance, wrestling knowledge and ability, skill, agility, timing and ring psychology second to none. I remember having a 40 minute match with Jon in Wimbledon Palace where the fans screamed, laughed, cheered, and roared with a volume that must have registered on the Recto scale and we only touched each other very briefly three times during the whole match. It was Jon's idea, he orchestrated it and I just followed his lead, - maximum reaction for minimum effort. After a very, very bumpy start, George Kidd became one of my all time favorites and I am the only one I was aware of who held victories over George, not only South of the Border but all over Scotland. Also George always insisted that I was paid top dollar and traveled back and forth to my matches in Scotland with him by my own choice of air, or on a sleeper by rail, whether it was for his own promotions or any of the others promoters that we wrestled each other for. I will be eternally grateful to The Great World Champion, George Kidd for the enormous amount of credibility his confidence gave me exactly when I needed it the most. When I was a thirteen year old bodybuilder my favorite bodybuilder in the whole World was Spencer Churchill, small boned, heavily muscled, I thought his physique was absolutely flawless; his stature in my eyes could only be magnified to a greater degree than it already was when I learned that he had also become a professional Wrestler. After more than a half century Spencer still looks fantastic and I still find him as inspirational today as I did so many years ago in the wild Welsh hills when I was just a thirteen year old kid straining over two buckets of rocks fastened to each end of an old rusty iron railing. My heart swelled with pride at the very thought of being a member of our great profession the night I was on the same card and watched what was so far for me the best wrestling match I had ever seen, a British Middle-weight title mach between Champion Tommy Mann and Challenger Tony Charles, in The Colson Hall, Bristol, September 14th 1961 [thanks for that date Ray] The match was a 15 x 5 minute draw and I was riveted for the whole duration, WOW! The inspiration I felt that night has lasted me over 40 years and the memory will last as long as I live. My tribute would not be complete without mentioning the great heavyweights of yesteryear, the guys too large for me to wrestle in those days, but also too numerous to credit them all as they deserve. Bert Assirati, Jack and Bully Pye, Man-Mountain Benny, Black Butcher Johnson, Hassan Ali-Bey, Bulldog Bill Garnon, The Bearded Monarch Ken Davis, Francis St-Clair Gregory were all in the twilight of their careers when I had my first aspirations of Mat-mauler-ship. So the greats of my day included, Joe Cornelius, Judo Al Hayes, Big Pat Roach, Wayne Bridges, Steve Veidor, 'Wild' Ian Campbell, Neil Sands, Johnny Czeslaw, Gwyn Davis, Geoff Portz, Big Bruno Elrington, Bob Taylor, Billy Howes, John Elijah, Dennis Mitchell, Farmer Johnny Allen, Charlie Fisher, Alan Garfield, Eric Taylor and his sons Steve and Dave, Big John Cox, George Gordienko, Mike Marino, 'Gorilla' Don Mendoza, Big Sonny Colindos, Steve Haggetty, Mal Saunders, Ray Hunter, Frank Hurley, Big Bill Verna, Tug Holton, 'Jumping' Jim Hussey, Vic Hessel, Billy Joyce, Billy Robinson, Mal Kirk, Big John Kowalski, Prince Kumali, Ray Apolon, Peter Maivia, Mighty John Quinn, Judo Pete Roberts, Big John DaSilva, Billy Two Rivers, Gordon Nelson, Hans Streiger, Joe Zaranoff, Crusher Mason, Kendo Nagasaki and the best masked wrestler of all time Paul Lincoln's Doctor Death, - that cold fish handshake he gave his opponent prior to the action used to send a shiver up my spine. There were also many now nameless wrestlers of our era who had little or no ability whatsoever, walking, talking blocks of wood who, as was so aptly phrased 'didn't know how to do up their bleed'n boots', but now in retrospect I feel I owe them a salute too. I found it easy to shine when I was in the ring with someone like Jon Cortez, Alan Miquet or most of the wrestlers I've already mentioned, they were all capable of having a great match with a broomstick, I know that for a fact, as very often in the early days, I was that broomstick. It was when, armed with the skill and knowledge learned from such great wrestlers that I was able to emulate their ability to thoroughly entertain a knowledgeable audience whilst tussling with a talentless opponent that I felt that my true mettle was tested. I gradually came to the conclusion that to become truly skilled in our business we need to experience both extremes of wrestling ability from our various opponents, just as the strongest tempered steel needs to experience both the hottest and coldest temperatures. Also in respect to those now nameless grapplers, they entered our sport with the same dreams and aspirations as the most successful of us and at least they had the shear guts to get their arses into the ring and try their very best, - surely we must all salute them for that. We were all very smug and comfortable with the fact that we had become household names in Britain, but that was a status none of us would have enjoyed if it had not been for TV and the magazines that depicted us as the larger than life Heroes and Villains we craved to become. Thanks to the great Wrestling commentator Kent Walton and the excellence and imaginations of writers and photographers like Charles Mascal, Russell Plummer and George Reid, Bob Leonard [a great pal since my Calgary Stampede days] Dave Cameron, still a friend since the early 60's, John Rackham, Ken Osborn, Pam Edwards, Eddie Caldwell, Tony Flood, H.G Stevens, Dave Pirie, Alec Wishart, John Gledhill, B.R. Bale, George W. Mitchell, Chris Butter, David Burwash, William Baxter, Alan Bamber, Bob Scarla and Laurie Stephen. To Kent Walton I especially owe a huge dept of gratitude, if for no other reason than the fact that he constantly reminded the viewers that in spite of my exaggerated showmanship I was one hell of a wrestler and in so doing added much needed credibility to the in-credible image I was attempting to paint of myself. Charles Mascal wrote the articles in Dale Martin's programs and it was he who first dubbed me with the nickname 'Nature Boy' as a result of the training I was doing in a period when I wanted to get back down to the Lightweight division. The great American Superstar 'Nature-Boy' Buddy Rogers had been one of my top idols since the very first time I became attracted to professional wrestling and it was in an attempt to live up to such an illustrious title that provoked me to introduce the Glamour thing into my character in the first place, thanks Charles, I really - really owe you one! Russell Plummer whose magazine 'The Wrestler' was undoubtedly the very best ever produced in Great Britain on our sport, his articles were excellently composed, very articulate, informative and interesting and best of all for us brought more much needed publicity and fame as did the great writers and photographers afore mentioned that contributed so much to our Sport. Another reason I liked 'The Wrestler' so much was that I don't think anyone made the front cover more times than I did. Bob Leonard's, H.G. Stevens' and George Reid's photos were terrific, most of the best action photos I still possess were taken by them. Now here is something else that I FIND VERY EXCITING, just when we all thought that we were fading away like a vague memory we have great Wrestling Historians, writers and wrestling fans extraordinaire who are picking up our old tarnished, cobweb encrusted banners and waving them for us one more time, Ray Plunkett, who knows more about my old matches, the venues and opponents than I do, Bill Parsonson and the Seniles, Frankie Rimer, wrestler, writer, trainer and M.C. Paul Douglas who designed the incredible 2005 British Wrestlers Reunion Award that is now gracing the wall of my office. Then there is the Great British Wrestling Reunion founders and creators, Joe D'Orazio, Wrestler, Referee, Writer - [and great cook!] Mal Mason, MC, Tony Scarlo, wrestler, trainer and excellent referee, Frankie Rimer, Martin 'Rocker' Richards wrestler and website manager and then The Host of Britain's greatest annual event, one of the nicest guys [he ain't a bad Chick either] in the business, World Heavyweight Champion Wayne Bridges with his lovely muscular wife Sarah. Then the British fans who made all our fantasies into a reality, as they booed us, cheered us, supported us, put food on our tables, clothes on the backs of our families and all for doing what we liked best, - entertaining them as only we could. I've been asked many times by our old fans why life doesn't ever get us Vintage Grapplers down, I'll give you our secret, - it's because at our age it's too bloody hard to get back up again.